We, the Nantwich Players (registered Charity number 510853) (hereinafter "we") are pleased about your interest in our Theatre. If we offer subscription to our Newsletter, and you explicitly consent, pursuant to Article 6(1)(1)(a) GDPR, we will use your email address to send you our newsletter at regular intervals. Indicating an email address will be sufficient to receive the newsletter. If we offer subscription to our Newsletter, unsubscription is possible at any time e.g. using a link at the end of each newsletter. 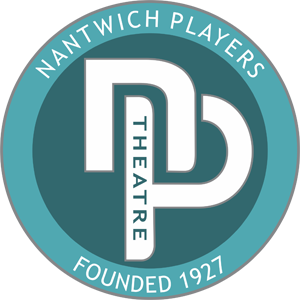 As an alternative, you may also send your unsubscription request to us at any time by email to: info@nantwichplayers.com. The only costs resulting from this are the transfer costs according to the basic rates of your telecommunications provider. The personal data required for sending out the newsletter shall be erased as soon as they are no longer required for achieving the purpose of their collection and as far as no other legal authorisation basis applies for further processing. Your email address shall only therefore be stored for sending out the newsletter until you revoke your consent. We offer the option to contact us via email. In such a case, your personal data transmitted in the email will be stored. For more information on data protection related to Google Analytics, see the Google Analytics Help (view details). In accordance with Art. 13 para. 2 lit. f GDPR we would like to inform you that we do not process your personal data for the purpose of automated decision-making.